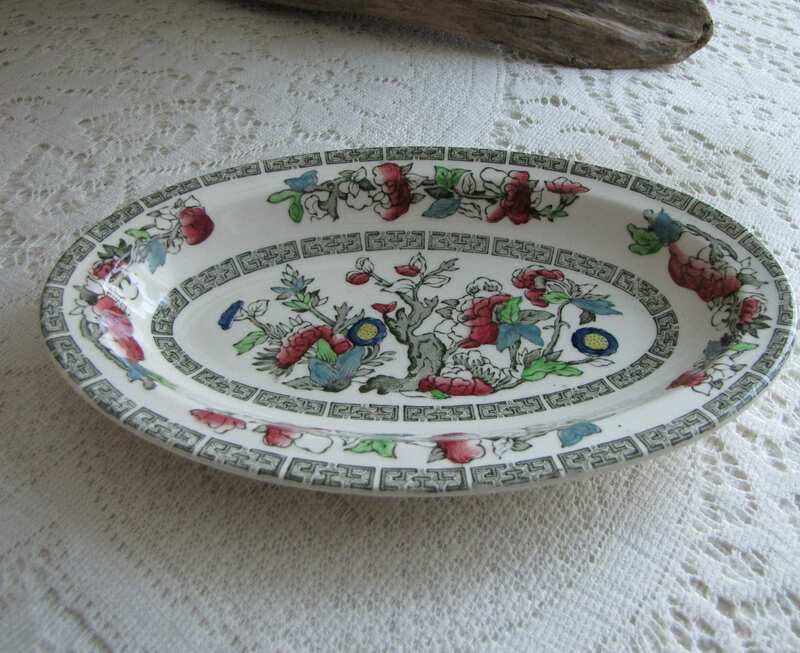 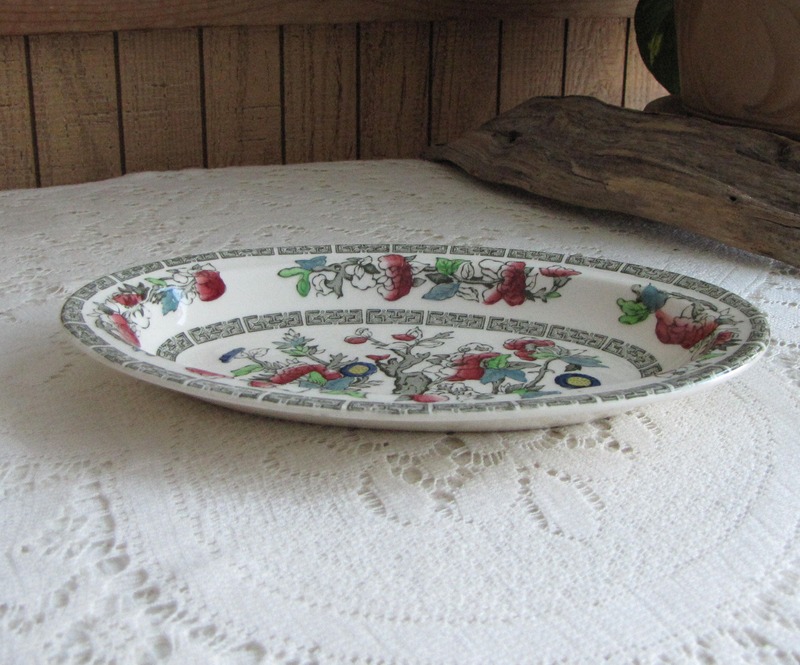 This is a listing for a celery or relish dish in Johnson’s Bros. Indian Tree (Green Greek Key) pattern. 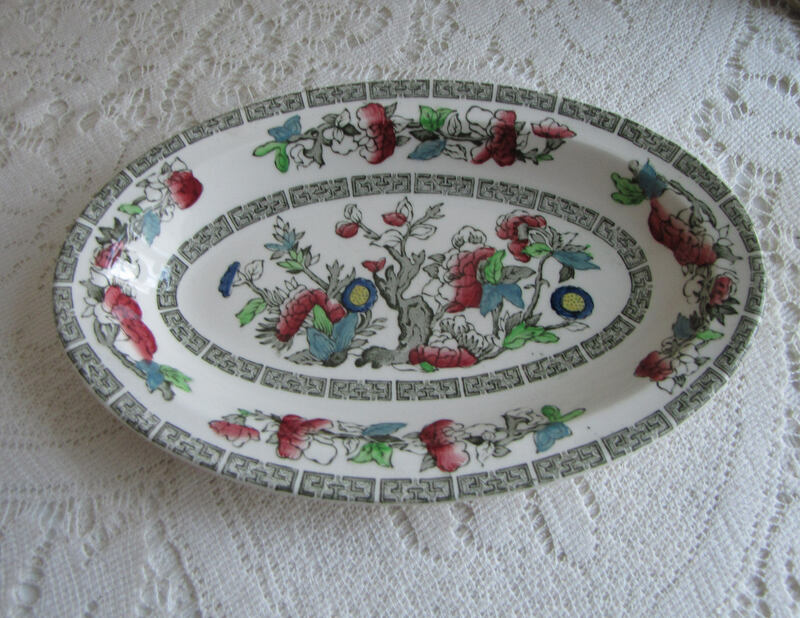 The small oval dish is in very good vintage condition with no chips or cracks; some utensil marks. 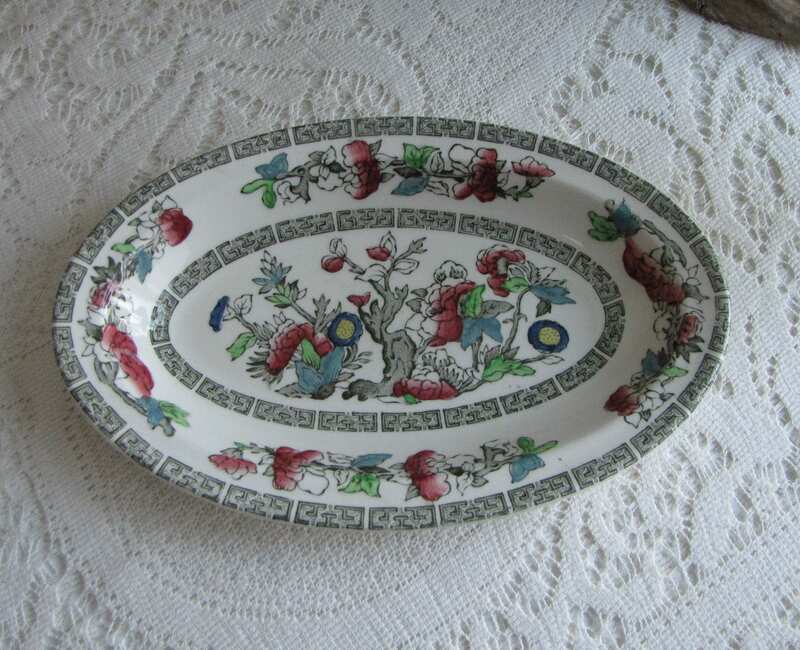 The celery plate measures 8.25 x 5.25 inches. 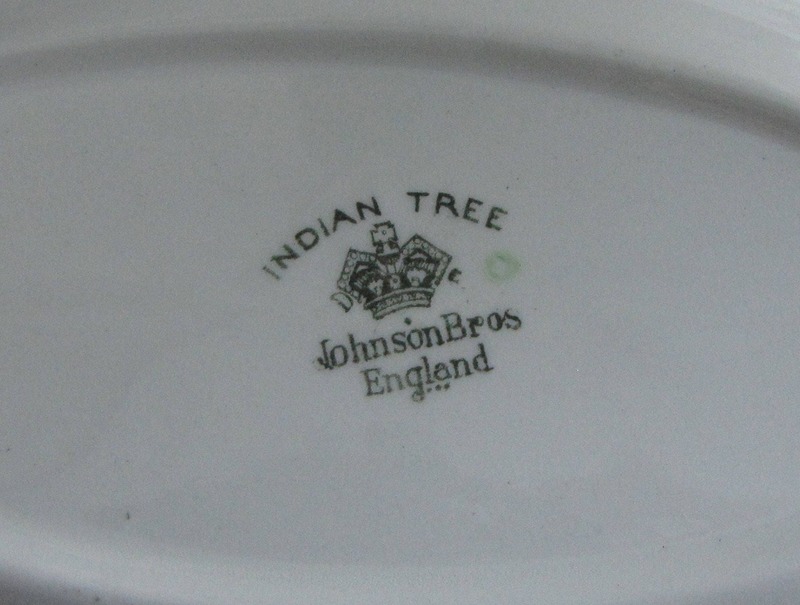 The bottom stamp is the Crown logo with Indian Tree over the top and Johnson Bros England under the crown. 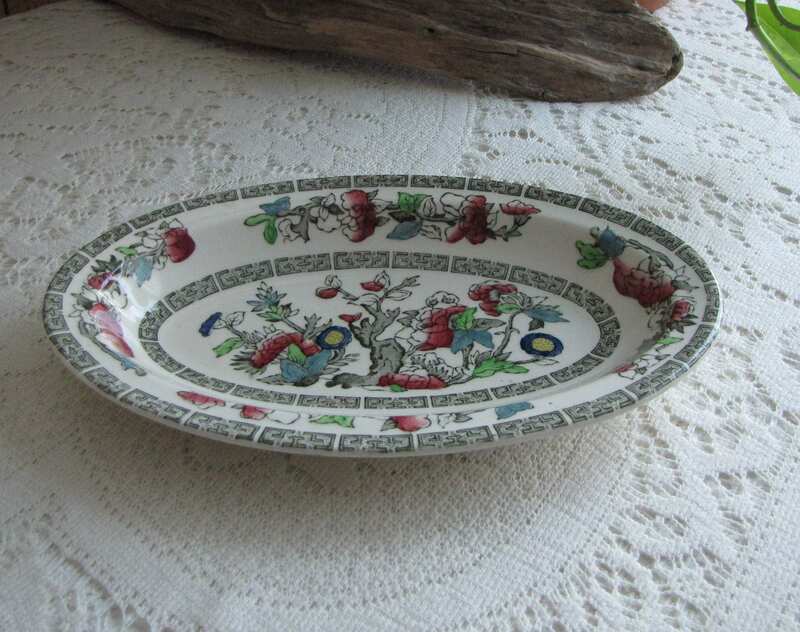 Each piece is tranferware/printed enhanced with hand painting with the artist’s mark on them. 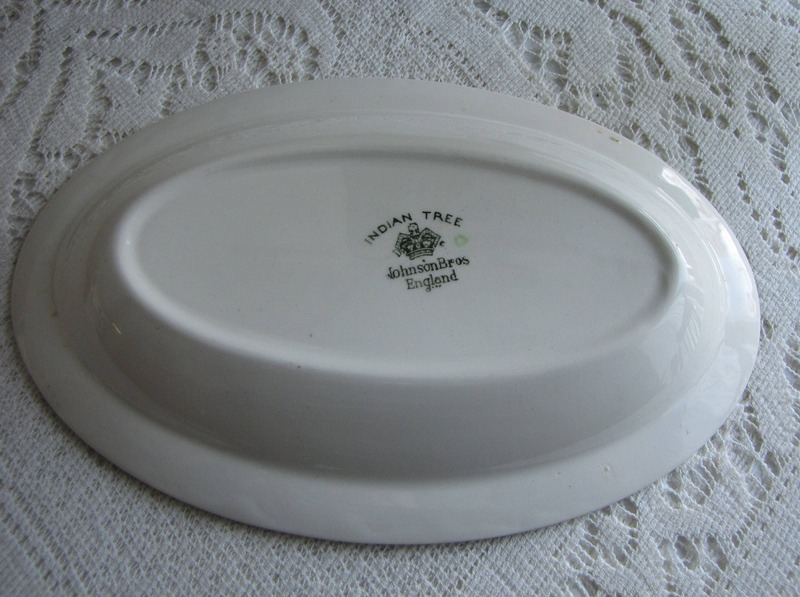 If you are interested in additional selections of the Indian Tree dinnerware, message me for a discount. 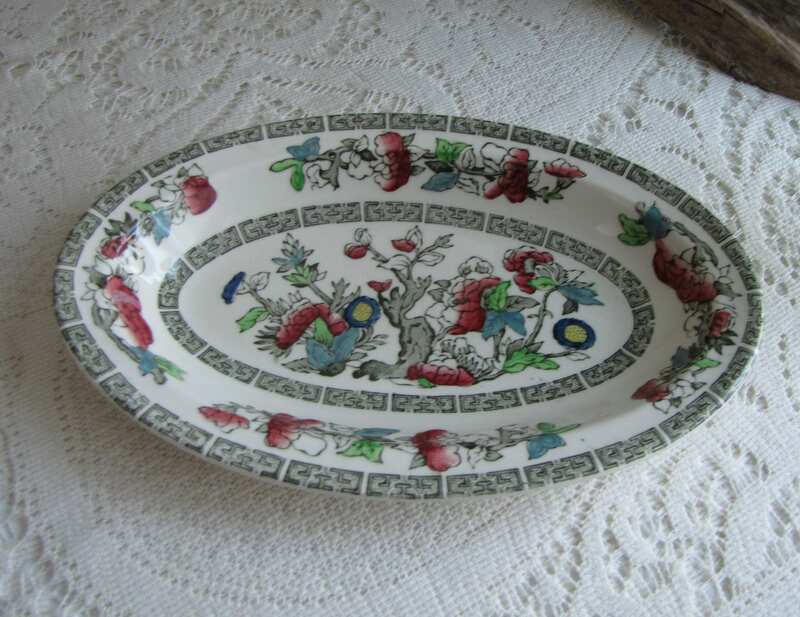 Founded in 1883 by brothers, Alfred and Frederick, they produced a granite white semi-porcelain dinnerware. 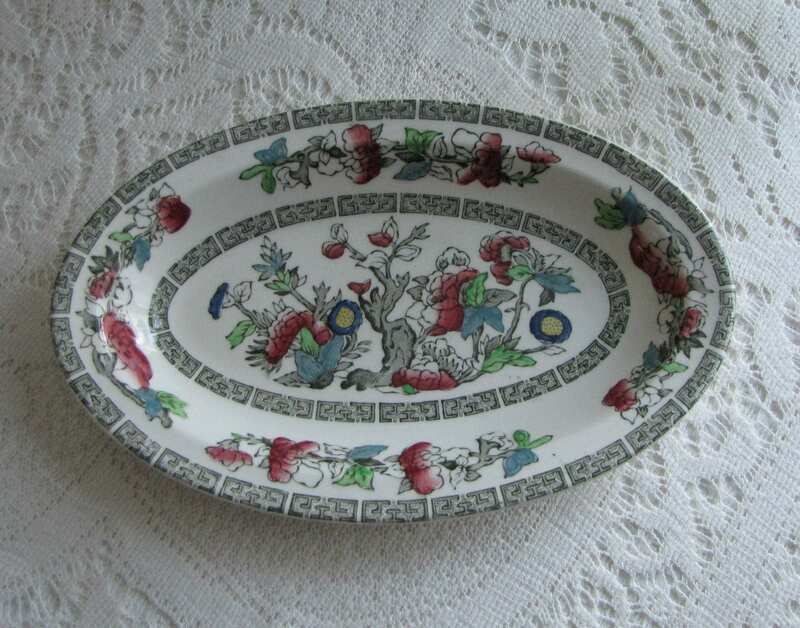 By 1888, two more brothers had joined the company and the company moved into transferware patterns. 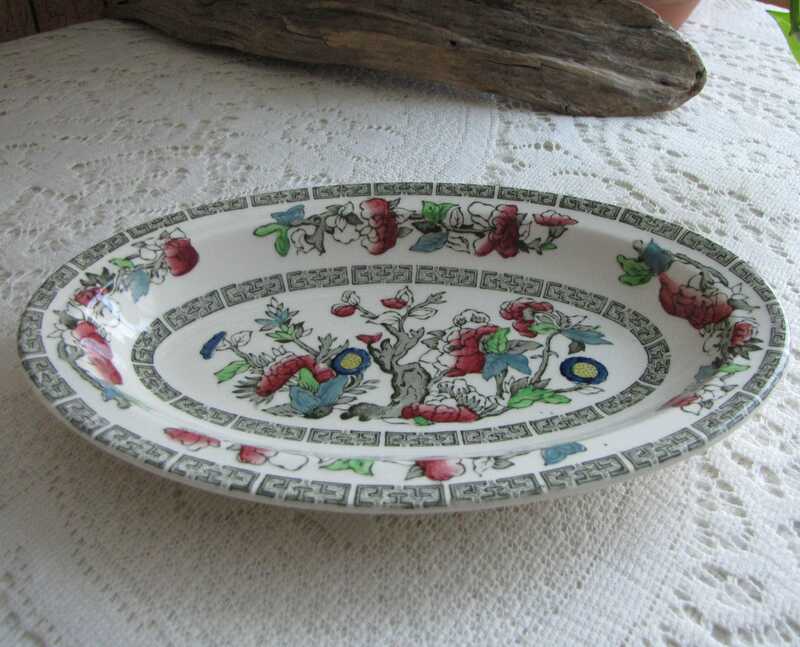 In 1968, Johnson Bros. was bought by the Wedgwood Group.